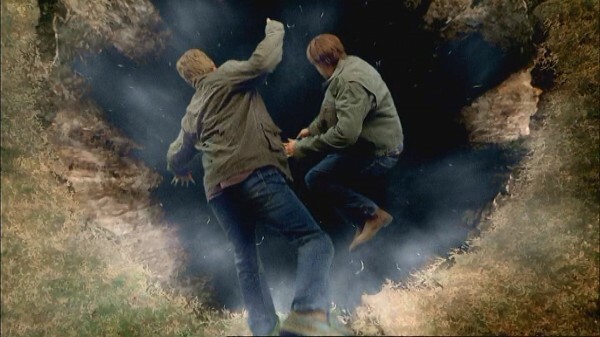 I think Swan Song was the best season finale in my own opinion. I like how Dean agrees to have Sam say yes to Lucifer and how in the end Sam wins by reclaiming himself long enough for Dean and him get Lucifer back into the cage. There a lot this episode I love. We are like opposites! I have so many issues with Swan Song. My favorite might be S4, but only if we count When The Levee Breaks/Lucifer Rising as a two-parter. Wow, that's not an easy one to pin down. I am more clear on season openers than finales. If pressed I'm going for Season 9, the show down with Metatron and awakening of Demon Dean. I agree that Swan Song was awesome and great storytelling, but it's totally not my favourite, as in: what do I rewatch for fun. It would have to be 9x23. I'm a total sucker for the Mark of Cain storyline. That is a great episode.